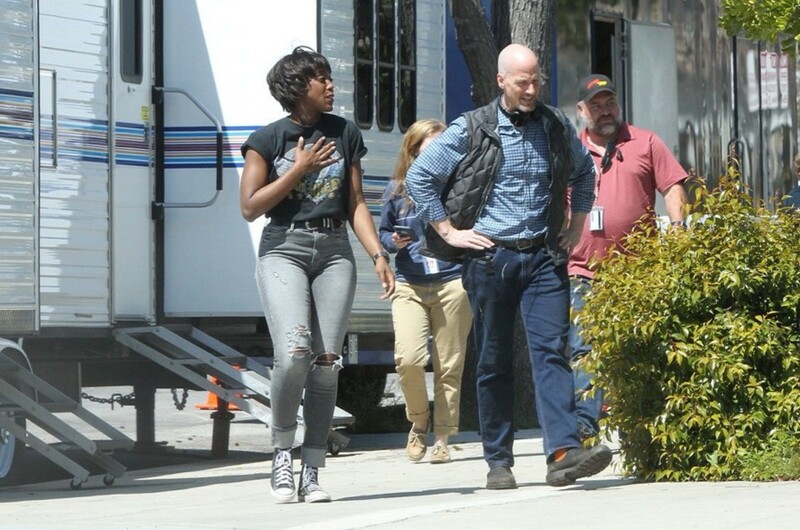 Now that Anna Boden and Ryan Fleck have officially yelled “action!” for the very first time on their standalone Captain Marvel movie, the amateur set photos have been coming in thick and fast. Earlier today, for instance, we brought you two photos of Brie Larson reporting for duty as the decidedly human Carol Danvers. Dressed in ’90s attire, Larson’s iconic heroine was also spotted wearing an Air Force t-shirt, which, coupled with her time at the Nellis Air Force Base in Nevada, ought to lend Captain Marvel that added layer of authenticity. 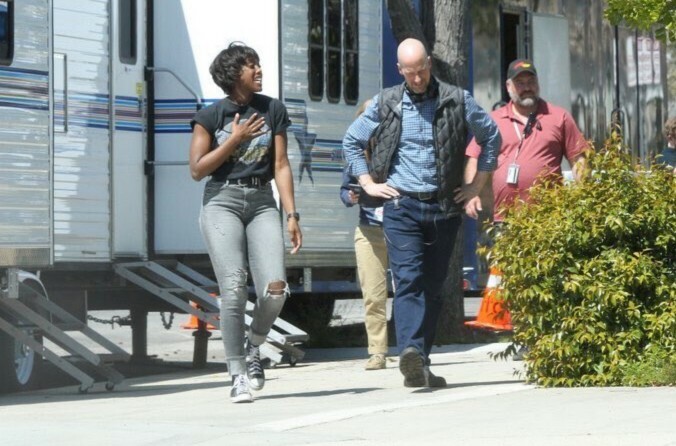 Speaking of which, one curious fan has now uncovered yet another pair of photos that shifts the focus over to Lashana Lynch, who assumes the role once earmarked for DeWanda Wise (She’s Gotta Have It). Firm details of her character remain locked away in the Marvel vaults, but that hasn’t stopped fans from drawing their own conclusions about Lynch’s role and, more specifically, her potential ties to Monica Rambeau, a character associated with Spectrum, The Avengers and even Captain Marvel in the original comics. In fact, this aligns with That Hashtag Show’s recent scoop regarding Lynch’s character, and why it’s looking increasingly likely that her Captain Marvel role and Monica Rambeau are, in fact, one and the same. We are told that Wise was set to play the mother of a young child who would be a ‘contemporary’ of Carol Danvers. As for what role it might be, all we can offer is a bit of speculation: the actress who originally passed on the role is a dead ringer for one of the most powerful heroes in the Marvel Universe and a one-time holder of the Captain Marvel legacy title herself: Monica Rambeau. Captain Marvel opens worldwide on March 8th, 2019 – long after the back-to-back release of Avengers: Infinity War and Peyton Reed’s Ant-Man and the Wasp, which has blazed its own path by adapting Ghost as a female villain. And a bloody powerful one at that.